This was a fun novella about Karl being Karl, and Hope trying to rein him in. Adams’ family has no clue of her true nature which made her gran’s museum exhibit dedication rather ironic. And, of course you can’t bring Marsten into a place with priceless jewels on display without expecting him to try to steal ’em. 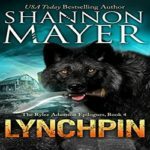 LUCIFER’S DAUGHTER did a great job of showcasing Hope’s chaotic nature, and her werewolf mate’s sticky fingers while also managing to add a romantic spin to the ordeal. 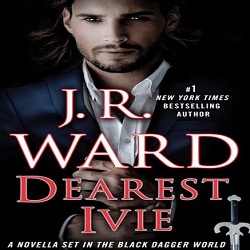 These two are seriously perfect for each other, and I loved that the author gave them their own slice of HEA in this compilation because it’s been a long time coming. Savannah & Adam finally get their HEA! I’ve been waiting for this ever since I finished the final installment two years ago. Levine’s immaturity gets her into trouble AGAIN, but she actually learns from it this time, and undergoes a surprising amount of character growth for a short in both her personal and professional life. The young witch has been keeping secrets from Vasic, the Cabals are up to no good, and a young supe is in need of the kind of help only Cortez and Winterbourne Investigations can provide. 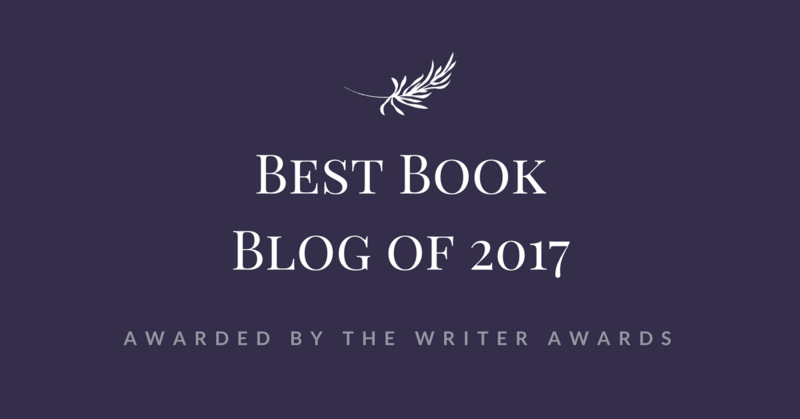 VANISHING ACT was a great way to wrap-up this anthology because it introduced some new mythology to the WOTO universe, and ended on a high note with the conclusion to Savannah & Adam’s love story. I’m always on the look-out for any excuse to dive back into this world, but Armstrong’s anthologies are among my absolute favs! Of course, you need to read the whole series in order to be able to appreciate them at their fullest, but yes, you MUST meet Clay & Elena. I love Kelley Armstrong and will read anything she writes. I’ave read some of the stories before, but will happily jump into them again. Can’t wait for the new reads. Did you see her most recent announcement? The twins, Logan & Kate, are getting their own Otherworld novella. SO EXCITED!!! I was about to shake my finger at you for not having read BITTEN yet, but then I saw your parenthesis so all is forgiven. Hehe! Why have I not started this series yet? That’s because most of the shorts revolved around the werewolves which are my absolutely favourite, had this anthology been mainly about the witches my rating probably wouldn’t have been nearly as high. Although admittedly, Paige & Savannah have grown on my over time. Armstrong’s come straight-out and said that she prefers to write shorts over full length books, and I guess her anthologies are proof that she has a real knack for them. Ah!!!! I’ve fallen so far behind on this series Carmel! This series was one of the first I read when I got back into reading before starting the blog, and I just adore Clay and Elena. I only made it through the first 2 books before I got distracted though, so I have some catching up to do on this world and it inhabitants! Glad this was a winner of a collection!! The third installment is about the witches, which are my least fav supe in this universe, so that wasn’t the worst place to stop reading. Clay & Elena do make several more appearances, and get another book, hopefully you’ll keep going soon. I’m finally reading my first Kelley Armstrong novel, Omens! 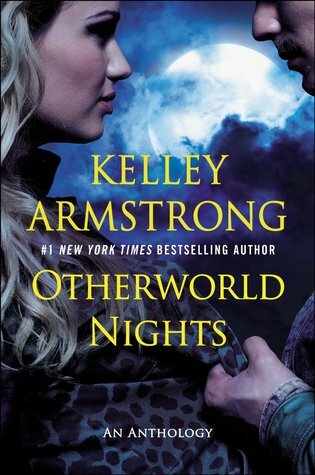 Hopefully I’ll be on the Kelley bandwagon soon as I hear nothing but great things about The Otherworld series. I love the idea of this anthology, so many great stories in one! WOOOOHOOO! Omens is actually one of my least favourite Armstrong books, so if you don’t love it, please don’t give up on her. The second Cainsville installment is much better. I love that you gave all the stories high ratings and rated it as re-readable! Kelley Armstrong has never written anything I didn’t like! Great review, Carmel! Clay & Elena are my all time favourite werewolves! I’ve re-read the entire WOTO series twice, but I’ve checked-out her anthologies even more than that because they are just SO good! I’ve read a few of these stories already but it would be worth buying just for the Savanna/Adam story. I felt so let down by their book. It was good – yet unfinished. I never reviewed 13 because of that, Karen. It was good, but left me feeling a bit meh, so I was SUPER happy that Armstrong finally gave them a HEA. It sounds like all these short-stories were worth reading! I love when there are some shorter stories in my favorite series, especially if they shed some light either on a character or on a situation that was not fully explored in the novel. And wow – you seem to love this anthology, Carmel! I need to start this series. I don’t know why I haven’t yet. I guess time is a big part of it. At least there are only thirteen installments, so you know what to expect going in. I was so upset when the ARC for this book was US-only on NG; they eventually approved me, but it took forever. I didn’t know there were so many stories in this world. I’ve still only read the first one. Gotta read more. Oh yes, Armstrong’s Women of the Otherworld series is the gift that keeps on giving! It officially ended two years ago, but the shorts keep coming. It’s great! I don’t think this anthology can be read as a stand-alone, then again I’ve spent so much time in this universe that I have a difficult time looking at it with fresh eyes. Thanks for the review love! I’m not usually an anthology reader, but I’ve been trying to catch the WOTO novellas whenever I see them out and about. I LOVE Karl & Hope, I need to read that. And Savannah & Adam’s HEA! Yes! Need this right away! Armstrong’s good a sneak attacking readers with shorts; I stalk her on Facebook & Twitter, and even I always miss a few. I hope she does more anthologies to help make readers’ lives easier. Ack. Unfortunately, I only ever had the patience for book one. Then I stopped (even though, I owned the first eight books!). When I started reading synopsis of the books in sequence, I realized that not all of them are about Clay and Elena. It sounds like I quit way ahead because there are other reasons why I should continue on. I need to get back into this world. I love that you gave each story such high marks, it isn’t often that you get an anthology with such strong stories. Usually you get a few good ones and then a couple of flops but that obviously isn’t the case with this one. Heidi recently posted…SomethingWicked Strikes Day #27: Chaos(Sanctum #3) by Sarah Fine: Guest Post, Review and Giveaway! I agree, you’re usually lucky if you find a couple of good shorts in an anthology, Armstrong is the exception to that rule. Oh Carmel your ratings alone make me want to start reading this series! 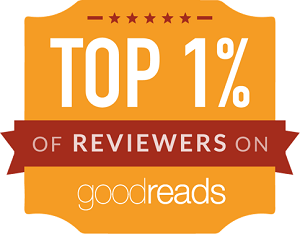 I need me some good our and five star reads! Those are pretty high marks for all the individual stories, which is pretty impressive. I’ve been…let’s just say, not too happy with a lot of UF anthologies. Usually there are a few good stories that stand out amid a whole bunch of mediocre ones, but this seems pretty solid all around. I don’t read very many anthologies, so I’ve been spared from the so-so UF ones for the most part. Armstrong’s is definitely a keeper! YES! I can’t believe that you left it to begin with. I’ve only read… 2 compilations this year, but this one’s been on my radar since it was announced. Cool cover. I always love anthologies! Stephanie Faris recently posted…First Review for 25 Roses…and a Giveaway! The chemistry between Clay & Elena is undeniable, even on this cover! I’m so behind on this series. I was addicted to it and then other things got in the way. Let me say this… Savannah is still growing up. LOL Yea, I’m very behind. However I’m so glad you enjoyed this one so I’m putting it on my MUST get wishlist! It takes a looooog time for Savannah to grow-up, so that doesn’t really tell me much, you could be at book 1 or 7. I forgive you though because I know how it goes only too well. It’s been awhile since I’ve read KArmstrong. I’ll have to get this one to revisit the world. And yayyyy I <3 Clay! This anthology is a great way to wet your whistle because it has a dash of everything, and TONS of werewolf goodness! As you know, Men of the otherworld is one of my all time favorite audios and I have truly enjoyed every anthology is this series. I had no idea this coming out!! You just made my week YAY!!! I’ll be all over this is comes out tomorrow on audio…running to see. OMG! I’m shocked that you missed this one! *pats herself on the back for a job well done. * Unfortunately, the audiobook isn’t even up for pre-order… what a drag! I’ll be interested in seeing who the narrator will be. I also need to post my review of this one but I really enjoyed it, it was so much fun to read these little stories. I haven’t finished the series yet I need to read book 7? 8? Don’t remember but I need to do that. I still haven’t read any of her books. I’m slowly … very slowly trying to catch up and finally read more authors from this genre. Ugh, I really need to start reading her UF novels – YA books were okay, but nothing special. I hope I will have more luck with these. 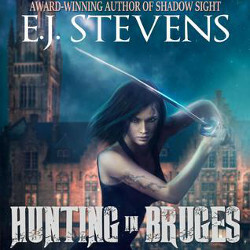 Young Adult is usually hit-or-miss with me, but Urban Fantasy is almost always a win. Come on over to the fun side of paranormal fiction, the water is nice! I can’t tell you how happy I am that you enjoyed this so much, Carmel! It makes me that much more excited about it. I, of course, am not caught up in this series but it’s one of my absolute favorites! I just love the world and the characters that Armstrong created. Great reviews! I take it my enthusiasm came through in my review? Hehe! I hope you find the time to get caught-up ASAP, this series is fabulous! Haha! Glad I’m not the only one who’s been jonesing for Savannah & Adam’s HEA. I can’t believe Armstrong made us wait this long. Evil author! Darn I didn’t realize so many of these were reprints! But I guess that is usually the case with collections such as these. I Love it when they finally put them all together but I really wish more of them would be new original stories not already elsewhere because I have many of those collections already. Oh well it’s always nice to go back and revisit the shorts since they are so quick and easy and I always love them. Definitely reading this one. I completely agree, Hidden was the best of the bunch – I cannot resist the twins! They are completely freaking adorable and so well-written; I guess it helps to be a mom yourself when you’re writing about one! Chivalrous also really got to me…I legit didn’t see that ending coming at all. Poor guy. I was SO HAPPY that Cortez and Winterbourne Investigations played a role in this anthology since its owners are my favourite WoTO couple. I know, I know – I’m completely alone in that! The only thing that would’ve made this anthology better for me would have been the inclusion of a Paige and Lucas story.